The last thing I want to worry about on the morning of a competition is getting my own (or my daughters) hair right. I hate bobby pins and hair spray and if you’re trying to do a childs hair, you know that they usually hate it even more! They’re uncomfortable once you put a helmet on and unless you use enough spray to put another hole in the ozone layer you know that you’re going to end up with flyaways at some point anyway. 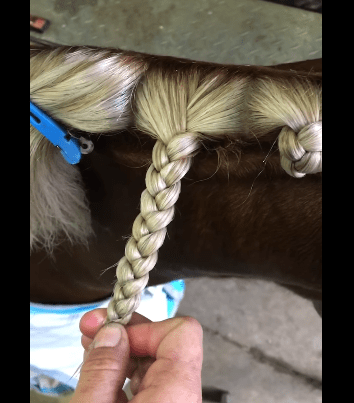 This is honestly the BEST way to do hair for a riding competition. It’s quick, easy, classy & neat. You don’t need hair spray or bobby pins and a well styles bun will never go out of fashion. 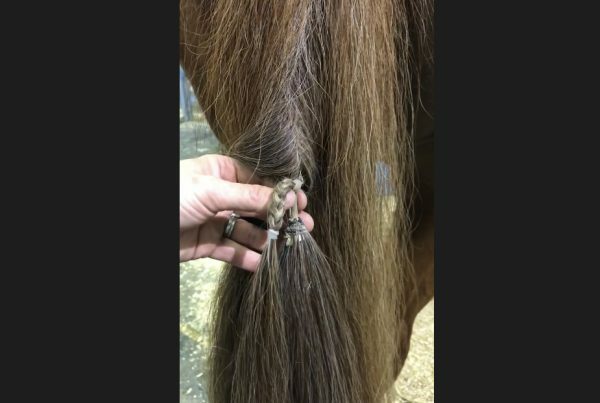 The HairLock hairnet is every riders dream!